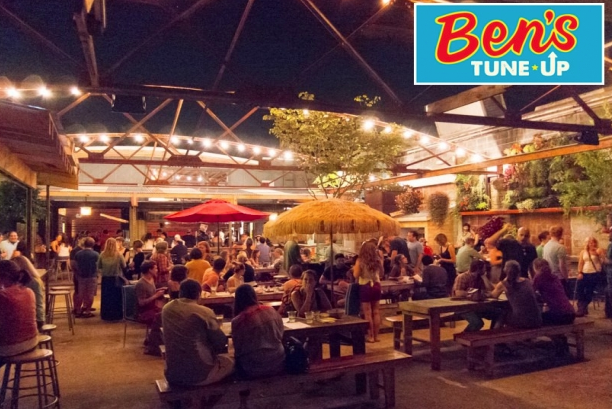 Ben’s Tune-Up, the restaurant, bar and sake brewery at 195 Hilliard Ave., will celebrate its five-year anniversary with live music and sake tastings today and tomorrow. It’s been a fun run for one of Asheville’s most unique restaurants and brewery operations. They’ve come a long way since, as has the neighborhood, which is now known as the South Slope. When the Ben’s team of four owners – Molly Clark, Meg Alt, Jonathan Robinson and Elliott Moss (who moved on to open Buxton Hall Barbecue with Chef Meherwan Irani further down the slope) – announced their plans for the old automotive shop, the area along Hilliard and down Coxe Avenue was still a mostly quiet zone of auto shops and empty buildings. In 2000, Green Man Brewing moved its operation to Buxton Street, further south down the hill, installing a brewery operation and opening its Dirty Jack’s tasting room. But that was about it as far as food/drink/entertainment in that area. 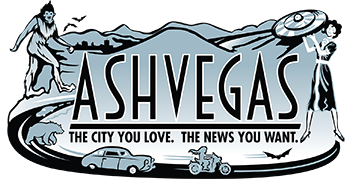 In 2006, Asheville Pizza & Brewing (now Asheville Pizza Co.) opened its second location (brewing and pizza joint) along Coxe Avenue. The Prospect established its under-the-radar bar on Buxton Avenue in 2010. And the ever popular French Broad Chocolate Lounge opened its factory and tasting room just up the street from Green Man in June 2012. But the arrival of Ben’s Tune-Up, its sake brewery and funky courtyard, as well as next-door neighbor Hi-Wire Brewing and Burial Beer down on Collier Avenue (which all opened in the summer of 2013), marked the beginning of a rush of development that’s now nearly as busy as the downtown proper. The area became known as the South Slope, and residential and retail development has followed (as have a number of other beer joints). 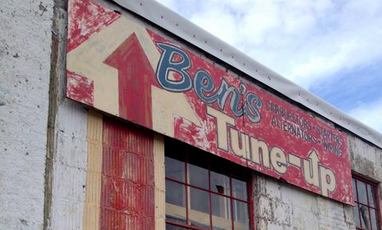 But this weekend is all about Ben’s Tune-Up, which has evolved over the years (remember the PennyMart?) The restaurant closed in January and part of February for some much needed renovations. Workers gutted the bar and kitchen. They added a new bar. And they expanded the sake brewery operation. Brewer Patrick Shearer, formerly of Sake One in Portland, Ore., has joined the Ben’s team and his new batches are starting to roll out of tanks. Clark describes him as “a badass” and says “we are pretty psyched” about the recent changes. Come Celebrate with us!! Ben’s American Sake Brewery is back and better than ever!! We have given our brewery an entire makeover and we want all of you to see our awesome new tasting room and merch shop. There will be plenty of cool new things for you to check out so stop in anytime Saturday and Sunday. Savannah Faith Smith takes the stage, performing her soulful blues. Meet the brewer and tour the brewery! Come see all the new spaces Ben’s has to offer and taste what we have been brewing up! Twin Leaf opens in the spring 2014. Vortex Donuts opens in October 2014. The Wicked Weed Funkatorium opens in October 2014. Catawba Brewing opens in spring 2015 on Banks Avenue. Tasty Beverage bottle shop opens in the spring 2015. Buxton Hall Barbecue opens in August 2015. The apartment building at 150 Coxe Ave. opened in 2016. The residential redevelopment of the upper floors of the old Chrysler Building opened in 2015. And still more has followed, with more development planned; these are just highlights.